Wally was given an assignment. 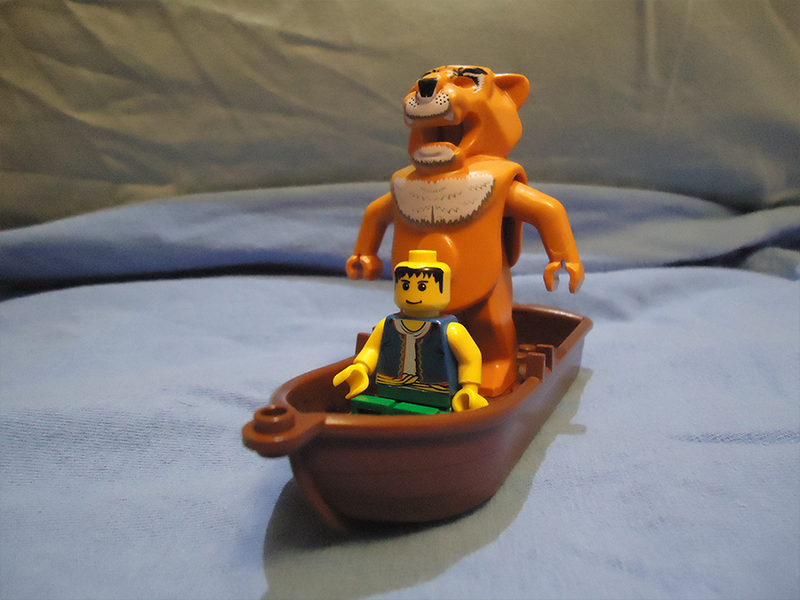 He had to get the chicken, lion, and grain across the river in his boat. The chicken went across easy peasy without so much as a cluck. He rowed back. The chicken blinked at him on the shore in some chicken variant of Morse code. The blinking, scratching and head bobbing went on. Wally shrugged. Returning to the first bank, he untied the lion and coaxed him into the little boat. The boat started pitching, upsetting the hungry lion. The authorities found the empty boat downstream. Picture prompt from Josh Mosey. This entry was posted in Drabble, Flash Fiction and tagged Humor, Interview question, Lego, Lion, Planning, Prompt, Writing by greyzr. Bookmark the permalink. lol…a twist to the old riddle..